This week the FBI sent out a symbolic warning. That warning, though heavily veiled behind a sacrificial lamb, said “Do not resist the government. Know your place or be prepared to die.” Sounds a bit harsh, right? But, I’m not the only person who feels the FBI’s actions in regards to Assata Shakur come at an interesting time, and are far more about the bigger picture than this passionate woman and a New Jersey state trooper. 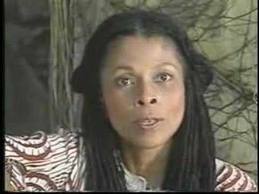 Assata Shakur became the first woman added to the FBI’s most wanted terror listthis week. And in announcing her as one of the top ten most wanted “terrorists”, the agency also said they would be increasing the reward for her capture to $2 million. Formerly known as Joanne Chesimard (the name that the FBI—with no pretenses of respect–still refers to her as), Shakur was found guilty of killing a New Jersey law enforcement officer in 1973. She was shot twice that night by the police (once while both hands were above her head and once in the back). But it was she who was sentenced to life in prison. Maintaining her innocence, she escaped prison and sought refuge in Cuba where she has been ever since. To the mainstream media and anyone who uses it as their sole source of information, this may seem like an open and shut case. But, if you know anything about the Black Power era, read about COINTELPRO, or if you’ve heard names like Fred Hampton, Leonard Peltier, or the “MOVE 9”, you know the police (including the FBI) acting on behalf of the U.S. government has a history of covert, unethical, illegal, and racist practices. And if you are hip to today’s War on Terror and its sweeping generalizations of what makes a terrorist, the renewed interest in Assata Shakur should be troubling. Assata Shakur was, and remains, a revolutionary. She was an active member of the Black Panther Party and the Black Liberation Army. In a nation founded on the backs of Africans, she stood up with her colleagues against a system deeply rooted in the system of oppression. In Assata’s own words, it was this challenge to the most powerful nation in the U.S. that led the FBI to target the Black Panther Party in the first place. The Black Panther Party– which did such “terrorizing” things as feeding schoolchildren (creating what we now have as the school-lunch program), providing medical clinics, offering drug-alcohol education and treatment, and clothing distribution—is, in modern terms, a terrorist group. Alone, these things may have been acceptable. But paired with their “pro-Black” stance and their unabashed disdain for the system designed to keep them quiet, they were (and remain) a threat to the status quo. 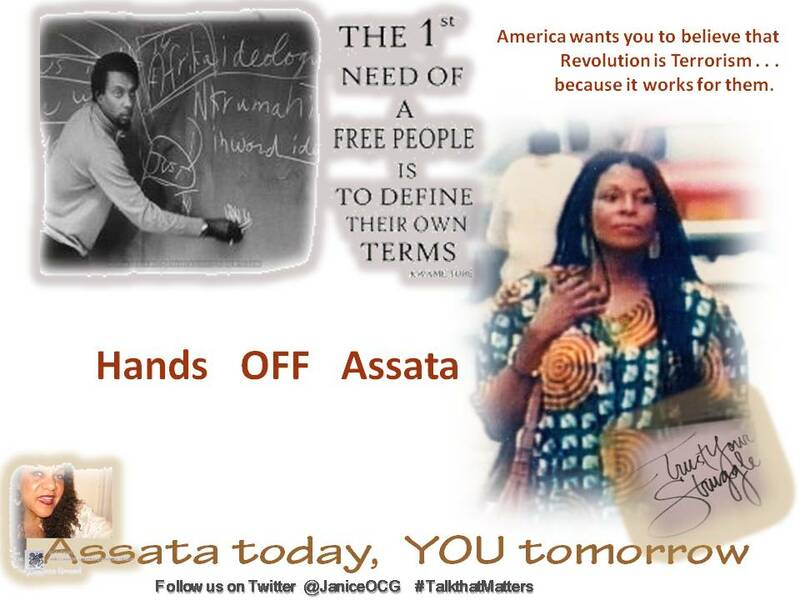 The naming of Assata Shakur to the terror list is less about her and more about who she is and what she stands for. Like all true revolutionaries, she spoke up, either unafraid or overcoming fear to stand for truth and rights. And from her current home in Cuba, she continues to speak up today. Under the COINTELPRO program, many political activists were harassed, imprisoned, murdered or otherwise neutralized. As a result of being targeted by COINTELPRO, I, like many other young people, was faced with the threat of prison, underground, exile or death. The FBI, with the help of local police agencies, systematically fed false accusations and fake news articles to the press accusing me and other activists of crimes we did not commit. Although in my case the charges were eventually dropped or I was eventually acquitted, the national and local police agencies created a situation where, based on their false accusations against me, any police officer could shoot me on sight. It was not until the Freedom of Information Act was passed in the mid-’70s that we began to see the scope of the United States government’s persecution of political activists. I believe that some people spell God with one “O” while others spell it with two. What we call God is unimportant, as long as we do God’s work. There are those who want to see God’s wrath fall on the oppressed and not on the oppressors. I believe that the time has ended when slavery, colonialism, and oppression can be carried out in the name of religion. It was in the dungeons of prison that I felt the presence of God up close, and it has been my belief in God, and in the goodness of human beings that has helped me to survive. I am not ashamed of having been in prison, and I am certainly not ashamed of having been a political prisoner. I believe that Jesus was a political prisoner who was executed because he fought against the evils of the Roman Empire, because he fought against the greed of the money changers in the temple, because he fought against the sins and injustices of his time. As a true child of God, Jesus spoke up for the poor, for the meek, for the sick, and the oppressed. The early Christians were thrown into lions’ dens. I will try and follow the example of so many who have stood up in the face of overwhelming oppression. So what can the FBI achieve by capturing Shakur or even merely putting her on the list? It’s my opinion that they care less about Shakur herself and more about squashing current opposition to their power. They want to shut her up, but they also want you to know that if you vocally and physically resist their power, you too could be labeled a terrorist, hunted, and– for all intents and purposes—killed for your actions. They want the people of this country, and specifically the people who would dream of bucking the system, to submit and comply. And this passionate, determined woman has become their lamb. © 2013, Elizabeth Renter. All rights reserved. Why, after so many years, would the FBI decide to place a 65-year old activist on it’s most wanted terrorists list? People are asking this question about Assata Shakur, a former Black Panther who has been able to evade authorities for the last 40 years. Her conviction for allegedly killing a police officer and wounding another has long been called into question and she has garnered a tremendous amount of public support, particularly within the black community. A group has filed a petition on behalf of Shakur, asking that President Barack Obama form a panel to do an unbiased investigation. The group says that, despite the scant evidence that Shakur actually shot anyone, the authorities insist on pursuing her. This week, the Newark, New Jersey FBI office named Shakur to the “Most Wanted Terrorists” List, despite the fact that she hasn’t harmed anyone in over 40 years. The group also announced a $2 million dollar reward for her capture, drawing the attention of bounty hunters around the world. “She’s been living in political assylum in Cuba, unable to return to the United States for fear of being killed or imprisoned. We must strike a blow for justice by fighting this ongoing campaign to smear her name and unfairly imprison her,” the petition states. 3. Terminate any bounty or “reward” for assisting in her capture. 4. Exonerate Ms. Shakur of ALL criminal charges and the need to serve the remainder of her (unjust) prison sentence.Assata Olugbala Shakur escaped prison in 1979 and has been living in Cuba since 1984, where she was given political asylum. She is the step-aunt to the late rapper Tupac Shakur. She wrote an open letter to the pope in 1998 after the state of New Jersey requested the Pope’s held in getting her extradicted. To date, she continues to teach and engage in activism. 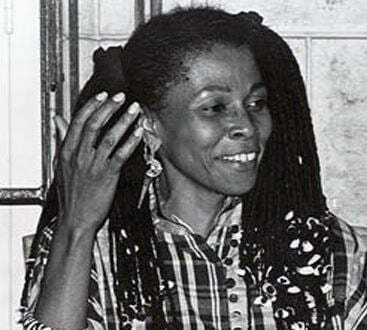 On May 2 1973, Black Panther activist Assata Olugbala Shakur (fsn) Joanne Deborah Chesimard, was pulled over by the New Jersey State Police, shot twice and then charged with murder of a police officer. Assata spent six and a half years in prison under brutal circumstances before escaping out of the maximum security wing of the Clinton Correctional Facility for Women in New Jersey in 1979 and moving to Cuba. My name is Assata (“she who struggles”) Olugbala ( “for the people” ) Shakur (“the thankful one”), and I am a 20th century escaped slave. Because of government persecution, I was left with no other choice than to flee from the political repression, racism and violence that dominate the US government’s policy towards people of color. I am an ex political prisoner, and I have been living in exile in Cuba since 1984. I have been a political activist most of my life, and although the U.S. government has done everything in its power to criminalize me, I am not a criminal, nor have I ever been one. In the 1960s, I participated in various struggles: the black liberation movement, the student rights movement, and the movement to end the war in Vietnam. I joined the Black Panther Party. By 1969 the Black Panther Party had become the number one organization targeted by the FBI’s COINTELPRO program. because the Black Panther Party demanded the total liberation of black people, J. Edgar Hoover called it “greatest threat to the internal security of the country” and vowed to destroy it and its leaders and activists. 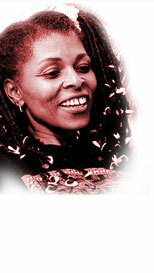 This entry was posted in American Politics, Black History, Black News, Black political action, Black Women, Critical Black Issues, Disparities in Law and Justice, Race Politics and tagged "The Eye on the Rainbow", Assata Olugbala Shakur, assata shakur, COINTELPRO, joanne chesimard, Joanne Deborah Chesimard, leonard peltier. Bookmark the permalink.